Parking Garage, Valet & Carwash Available! 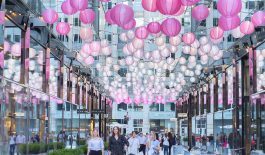 With more than 30 retailers and restaurants —plus prime office space and luxe residences— CityCenterDC is the hub of all that’s happening in DC. Experience more than 30 fabulous luxury stores, including many of the world’s most fashionable brands. Discover more about our fabulous eateries. 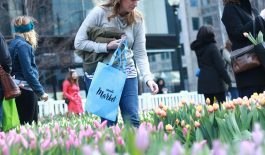 Join us April 26 - April 28 for our 2nd annual Field of Tulips. Shop delicious prepared foods, pasture-raised meats, eggs, fresh fruits and more! 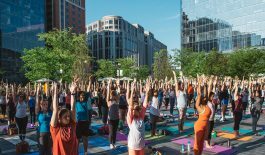 Free fitness classes in The Park at CityCenter every Tuesday from May 7 - June 25 at 6pm. Stroll through Palmer Alley to catch the new Spring Installation.